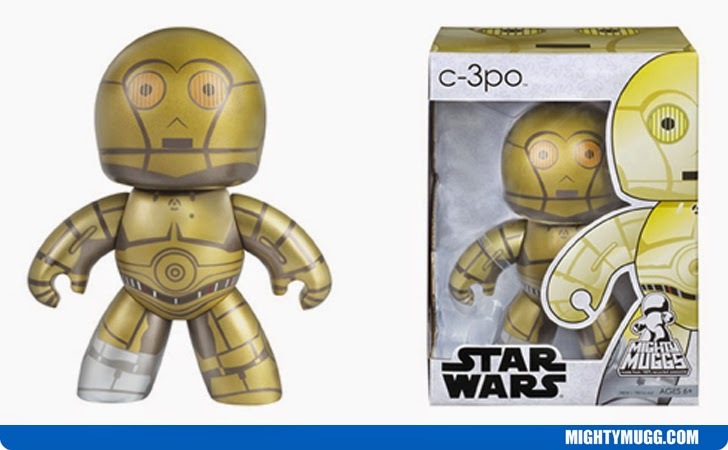 C-3PO is a droid of Luke Skywalker, whose often found paired up with R2-D2. He first appeared in the film Star Wars: Episode IV - A New Hope in 1977. Actor Anthony Daniels portrayed the character in Episodes I, II, II, IV, V, VI and VII. The Mighty Mugg above portrays him in his typical gold metallic look.